The following are excerpts from the 2018 annual end-of-year grant report from Ann Lopez, Director for Farmworker Families. 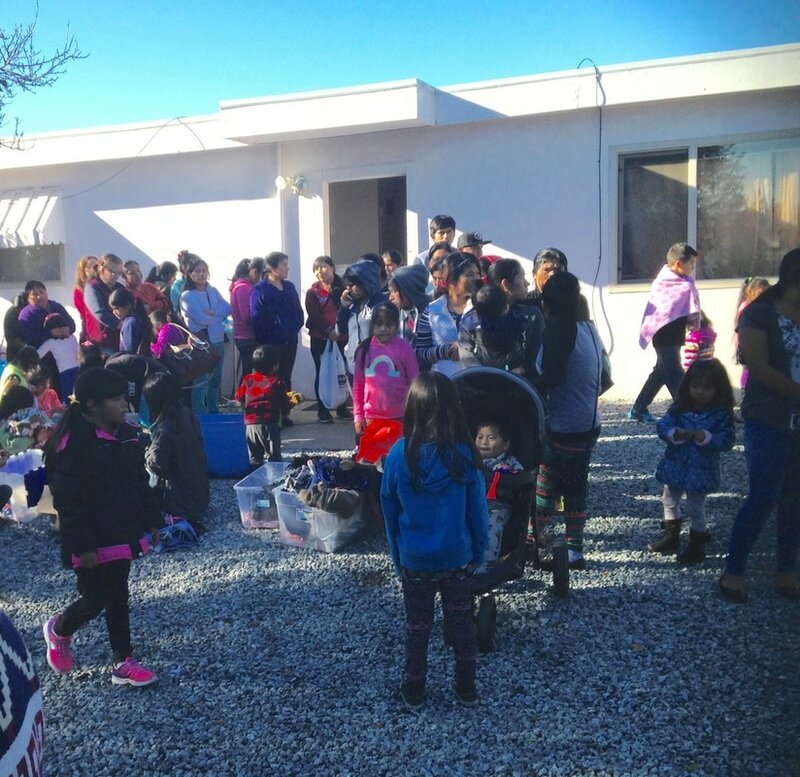 "Beginning in winter 2017, due to imminent cases of starvation in the Community, Center for Farmworker Families arranged a food distribution from the Watsonville Food Bank at the Oaxacan shed. Over 70 families arrived to receive rice, beans, fresh vegetables, fruits and other foods; thus averting severe hunger within the community. Currently, in 2018, we have combined our distributions of basic household items and a food distribution with the Second Harvest Food Bank. Farmworker families can thus procure both household and food items in one visit to the Oaxacan shed. Because the number of farmworkers traveling to Watsonville to participate in Oaxacan community activities is so great (at least 100+ families and increasing), we have begun holding “distributions” of basic necessities and food from the Food Bank once every month. 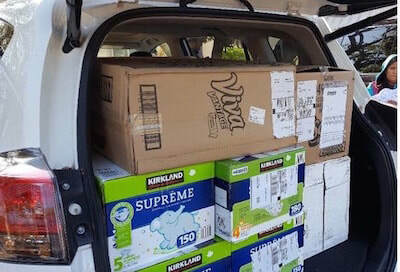 A day or two prior to a distribution, we purchase huge quantities of diapers, baby wipes, paper towels, toilet paper, and rice and beans from Costco. At Dollar Tree, Inc., we purchase bath soap, shampoo, laundry detergent and dish soap. We then set up tables at the distribution location, and organize all of the donations. Farmworker families then pass through the lines and choose the items needed for their households. We also offer a free flea market of donated clothing, toys, and household goods to accompany the Distribution. In 2018, we passed out literature about immigrant rights, what to do if an undocumented farmworker is apprehended by ICE and programs for Spanish speaking immigrants in Spanish offered by Cabrillo College, as well as English classes. Because of the generous grant we received from IF in 2018, we were able to fund Distributions of both household items and food every month for the first four months of 2018 at an average cost of $1,000 per month. Other kind donors made it possible to offer Distributions of food and household items the remaining eight months of the year. The incredible value of IF’s participation in the farmworker community through the generous grants given over the past three years, can never be measured or over-emphasized. However, my Board members, me, and assistants are fortunate to be able to hear from farmworkers regularly as we work in the community. They express continuing relief and joy about the Oaxacan Shed Project and the Distributions which have been funded by IF. "Pesticides and Farmworkers: An Update and Success Report"
The Center for Farmworker Families was developed as a response to conditions that I encountered in the central California farmworker population and in the rural farming communities of west central Mexico while working on a doctorate degree at the University of California at Santa Cruz. Mexico had an estimated 9000 year old organic, agro-ecological farming culture with a strong farmer attachment to the land. The genetic diversity of traditional corn strains was so great that Mexico had become the world’s repository for corn genetics for the world. I studied the impact of NAFTA (North American Trade Agreement) on the farms and families of Mexico…. What I found in my study was profoundly disturbing. NAFTA eliminated the tariffs at the border that once protected subsistence and small-producer farmers from foreign corn competition. Within 30 months of the tariff elimination, GMO corn from the U.S. poured into Mexico by the ton load. The cheap U.S. corn destroyed the economy of the rural countryside by undercutting the price that farmers had once received at government outposts for the sale of a portion of their harvest. Almost immediately after NAFTA, the value of the Mexican farmers’ corn was literally cut in half. Children of farmworkers receiving clothes and toys. ​ Unable to support themselves on the post-NAFTA income, farmers had three survival choices: 1) stay on their land with their families and starve (many have done this since they are so attached to their land), 2) move to a big city in Mexico and try to find work, and 3) risk an undocumented border crossing to the U.S. as economic refugees. Today, approximately 75 % of California’s agricultural labor force is undocumented; living in poverty in the shadows, with a constant fear of deportation and separation from family members. I realized upon the completion of my doctorate that I had to do something to ameliorate the suffering that I learned about in families on both sides of the border. ... Hence, I started the Center for Farmworker Families. We became incorporated as a 501(c) 3 in 2012. The purpose of the Center for Farmworker Families is to promote awareness about the difficult life circumstances of binational families while proactively inspiring improvements both in the United States and in Mexico. Research and promoting the educational advancement of farmworkers and their family members working in agriculture, as well as family members who are living on their farms of origin in the west central Mexico countryside. ​ Examining the federal and state legal structures that govern the lives and well-being of farmworkers and promoting the changes necessary for improved livelihood and well-being. ​ Farmworker Reality Tours: One of the most effective way for the public to learn about the lives of farm-workers is to meet farmworkers in person and hear their stories. The Center for Farmworker Families offers Farmworker Reality Tours for the purpose of informing the public. Groups can sign up for a tour online. Participants have an opportunity to observe a farmworker as he picks strawberries. They also visit the migrant camp and hear about the 50-mile regulation and the incidence of wage theft. Finally, we conclude the tour with a visit to the home of an undocumented farmworker mother of four citizen children who is renting a substandard house in central Watsonville. She prepares a delicious traditional Mexican dinner and tells her story. During the dinner, we discuss immigration, and participants reflect on the experiences of the day. The Oaxacan Shed: ... The farmworkers live impoverished lives in crowded conditions with their family members and other Oaxacans who contribute to the household by providing a share of the monthly rent for an overpriced substandard dwelling. Most farmworkers work six days per week; up to thirteen hours per day and experience grinding poverty; barely surviving on an average of $12,000 per year. Oaxacan farmworkers specifically are among the most impoverished of farm-workers in the region and suffer discrimination, both from the society at large and even from other farmworkers. A baby centered distribution provides much needed disposable diapers. We stock the shed at the beginning of each month and need financial help to continue our work. ​ Slug Tutoring Program: One reason that many of the children of farmworkers do so poorly in school is because parents or other adults in the household don’t speak English. School assignments are in English, and most children of farmworkers are struggling to perfect their English skills. Without a fluent English speaker to assist them, farmworker children have little chance of completing school assignments successfully. Children of farmworkers receive at home tutoring through the Slug Tutoring Program. 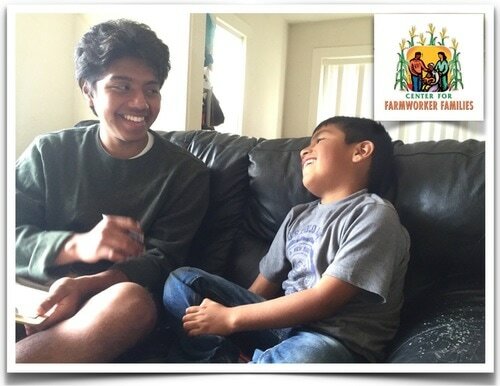 The Slug Tutoring Program ... is a program in which any farmworker family that wants tutoring assistance for their children can be assigned a UCSC student tutor/mentor to visit their home once per week and receive assistance with assignments. The program has proved to be beneficial to both slug tutors and the children. The tutors are exposed to a way of life probably never experienced before, and the children receive school assignment assistance and mentoring to promote an interest in and future success in education. If you have further questions about our organization, please don’t hesitate to call me at 831-335-5492. Thank-you!